As promised on our last post, we’re itching to let loose a flood of details on just how awesome the Creately Desktop experience is. While we did rave about its funky features (with Diagrams Anywhere being the proverbial icing on the cake), we’re excited to offer all our new customers the revised pricing plans (5 plans in all!) BUT with more features that are all-new for Creately Desktop. But before we get into the details of what this shiny new app costs (which compared to our competitors is peanuts), we’d like to give a shout out and a big “THANK YOU!” to the hundreds of users who took the plunge and downloaded Creately Desktop. You guys rock! Now, on to the good stuff. 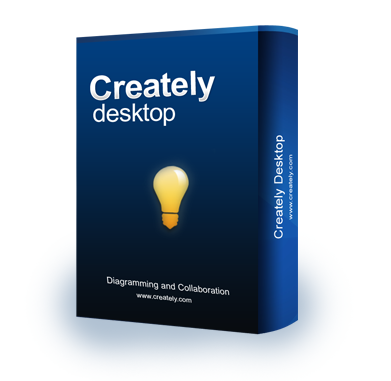 While $75 will get you Creately Desktop, you’d be glad to note that this price gets you way more than just the app, like Creately’s online functionality (FREE for a year!) along with a year’s worth of upgrades, also absolutely FREE! If you’re a new user, it’s never too late to discover a the product thousands use every day! For our existing Creately customers, we’re offering a 33% discount, which means you can enjoy this new take on diagramming bliss for just $50! 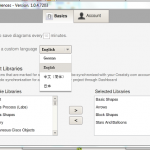 Want to share your thoughts on Creately Desktop and our plans? Go right ahead and connect with us here, here or here.